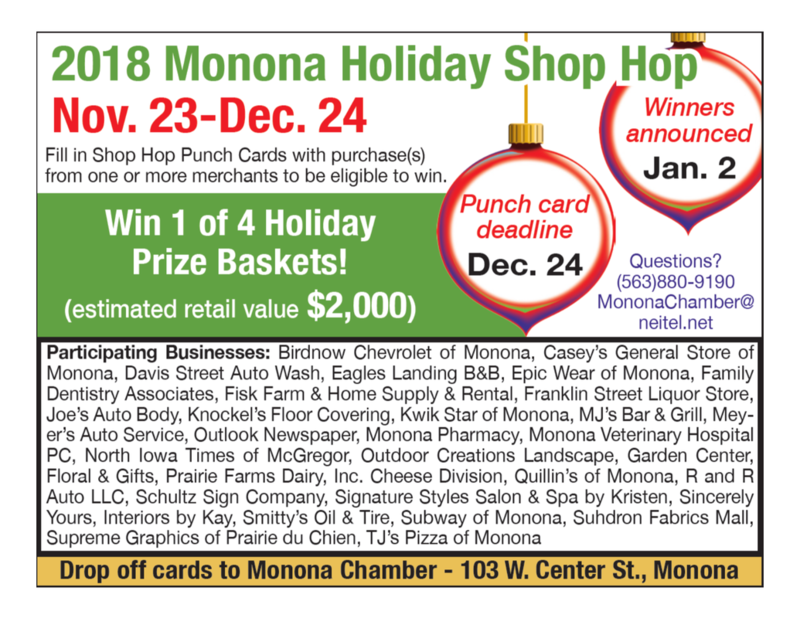 2018 WINTER / Holiday Shop Hop Featuring Retail & Specialty Shops, Service Centers, Dining & Entertainment (11/23/18 - 12/24/18) - Monona Chamber & Economic Development, Inc.
Press PLAY below to hear our KCTN radio ad. Find below sample Punch Card, where to find them & guidelines to play in 2018 Shop Hop. 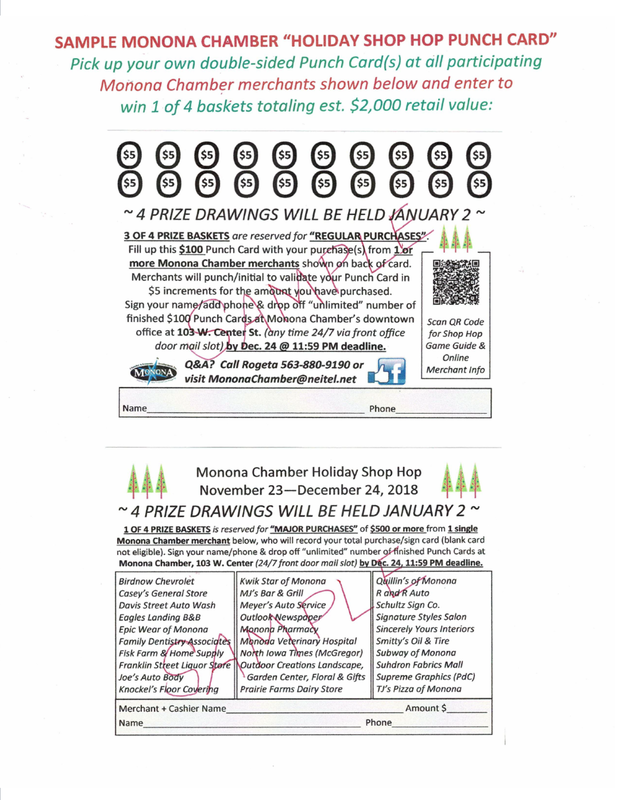 Remember 1st to shop Monona's small businesses to give our local economy a better boost over these 31 holiday shopping days! Have fun & best of luck on winning $2,000 gifts & prizes! !